Chaos decks have come a long way in Goat Format. Back in 2005, “Chaos” often referred to Goat Control, because Goat Control had evolved out of the old “Cookie Cutter Chaos” decks of the day. 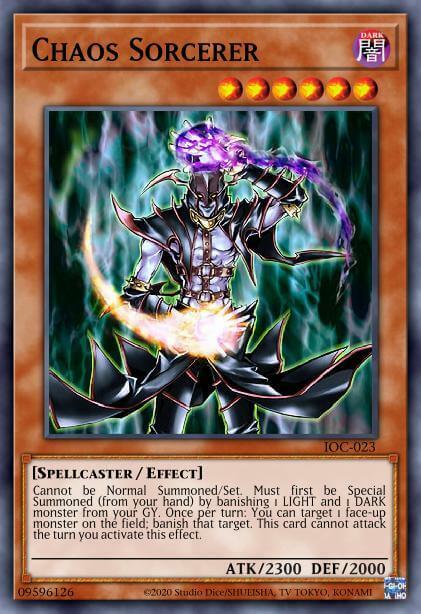 But come the Revival Period of Goat Format, in 2012, Chaos Sorcerer started to see more interest, and led to the rise of Chaos Turbo. Goat Format Chaos Control decks came a bit later. Simply put, Chaos Turbo’s first incarnations weren’t very good. Goat Control remained the deck to beat throughout 2014 and 2015 and, really, until Exarion Universe was effectively removed from the Goat Format card pool. Thunder Dragon Chaos began to see more play, and then Angel Chaos a bit later. Both are iterations of Chaos Control. Now, a third Goat Format Chaos Control build has started making waves – Skilled Chaos. This article is going to break down Chaos Control, the different core incarnations of it, and how it’s making waves in Goat Format today. The name of the game For Chaos Control is advantage generation. Since the deck wants to replace Airknight Parshath with Chaos Sorcerer, it has to also replace those cards that don’t synergize well with Sorcerer. Premature Burial and Call of the Haunted are cut for a third Book of Moon and a Dekoichi the Battlechanted Locomotive. Magical Merchant is cut for Dark Mimic LV1. These changes do a number of positives for the deck. Extra monsters help fill the grave quickly. The variety of DARK flip monsters helps to mitigate Nobleman of Crossout. This is an advantage as the deck has to play passively in the early game. Its passive nature is somewhat of a drawback, actually, which is a big reason why we have the variations of Chaos Control we do. We’ll discuss how the various iterations of the deck try to mitigate this in just a bit. Perhaps the most important advantage of Chaos Control, however, is simply the fact that it plays so much like Goat Control. Access to Thousand-Eyes Restrict gives the deck the ability to be passive in the early game, and more explosive in the late game. It also diminishes Airknight Parshath’s ability to generate advantage if playing against Goat Control, which helps the Chaos player maintain numbers on their opponent. Right now, there are three main variants of Goat Format Chaos Control: Thunder Dragon Chaos, Angel Chaos, and Skilled Chaos. These arose from the need for stronger early-game plays. The deck has a hard time answering opposing sets, and also has a hard time against early-game aggression. These are the community’s attempts at mitigating the disadvantages, and the variants of Chaos all play quite differently. As such, it’s important to understand how they differ. 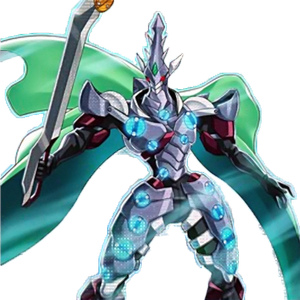 Thunder Dragon Chaos is mostly an extension of the Exarion-era Chaos Turbo lists. Those focused on advantage generation first and foremost; if they could out-resource Goat Control, they stood a good a good chance of winning. 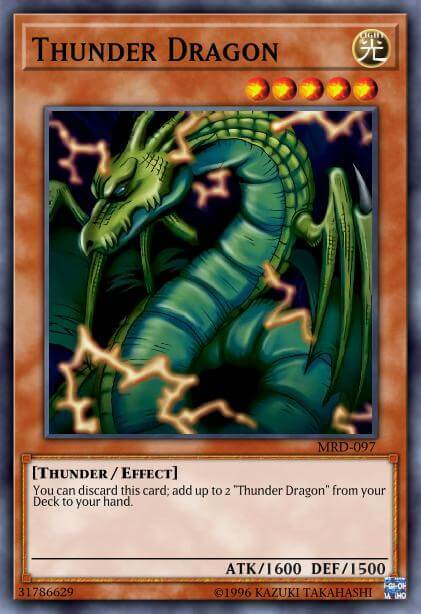 Thunder Dragon was the go-to because it’s an active advantage generator, generating a +1 while also putting a LIGHT monster in the grave to fuel Chaos plays. Thunder Dragon’s second major advantage is its ability to mitigate opposing Delinquent Duo plays. More importantly, opening a Graceful Charity along a Thunder Dragon is an incredibly strong opening, as Graceful Charity essentially becomes free. The problem with Thunder Dragon is that it’s not aggressive, especially in the early game. While this is sort of a problem across all Chaos Control variants, it’s especially noticeable with Thunder Dragon. This variant tends to have to play even more passively in the early game, waiting for the opponent to commit more heavily in order to maximize Chaos Sorcerer plays. Thunder Dragon Chaos tends to play Card Destruction more so than the other two, as it’s in a unique position to take advantage of it. This is a major play with this deck, and can lead to runaway advantage plays that fill the grave and allow Chaos to simply win immediately. But regardless, it’s still a deck that has a hard time in the early game, and tends to be the one that has to drop Chaos Sorcerer first. This is problematic, especially in the mirror match. Shining Angel‘s main advantage is its ability to maintain board presence. It’s a fairly aggressive early game monster, which mitigates some of the drawbacks of Thunder Dragon Chaos. It is especially aggressive against conventional Goat Control builds, as they’ll replace themselves by battle while also avoiding going down on the summon. Chaos’ inherent linear playstyle makes it easier to see lines of play in the midgame. Angel mitigates that somewhat; where your opponent may be expecting one thing, they may not be as able to handle an Angel drop that’s able to pressure their LP. More importantly, Angel is not a card that an opponent wants to get off. The best counter is perhaps Asura Priest. This isn’t the end of the world for Chaos, though as it puts up to three LIGHT monsters in the graveyard. 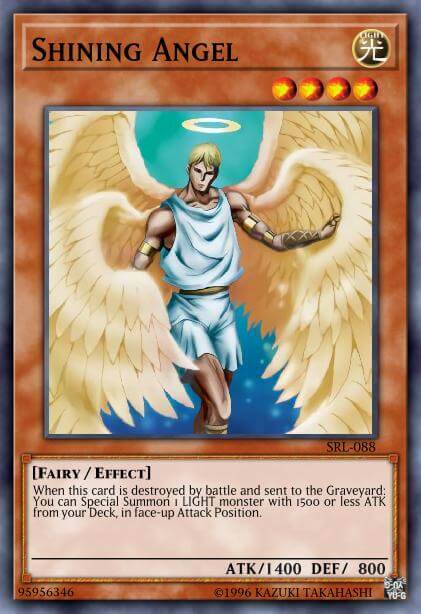 The last Chaos variant we’re discussing simply replaced Shining Angel with Skilled White Magician. Both Thunder Dragon Chaos and Angel Chaos share a major weakness – Airknight Parshath. 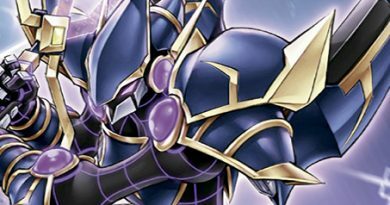 If the deck doesn’t draw any DARK monsters, an early opposing Airknight play could give the Goat Control player a significant advantage. This is especially true when Asura Priest is included in the deck. By replacing Shining Angel with Skilled White Magician, the deck effectively stops early opposing Airknights from dealing damage. This ability to wall – while still putting a LIGHT monster in the grave once it’s in grave – gives Skilled Chaos an even stronger early-game presence. Perhaps more importantly, Skilled White Magician forces battle trap activations, power spell activations, and is a prime target for Thousand-Eyes. All of these help to protect Chaos Sorcerer, giving the Skilled Chaos player a lot more flexibility. 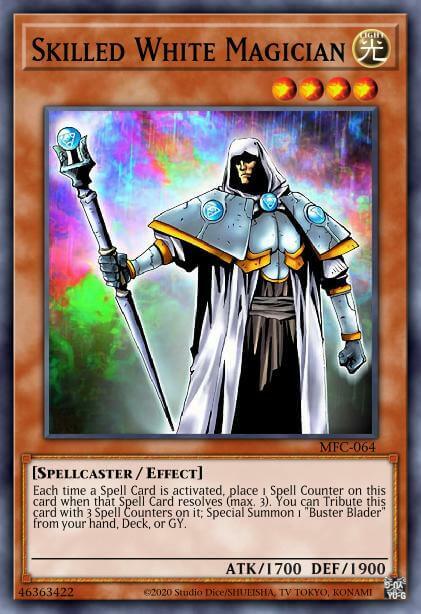 Chaos Sorcerer is often seen as a way to remove problematic monsters. But in Skilled Chaos, it has the ability to be much more aggressive. Skilled Chaos arguably brings more versatility to Chaos Control than the other two variants. Its choice of LIGHT is an aggressive option that doubles as a solid defensive option. More importantly, it can keep the Skilled Chaos player up on the summon while also being able to fill the grave – and, at the same time, takes options away from the opponent before it does. 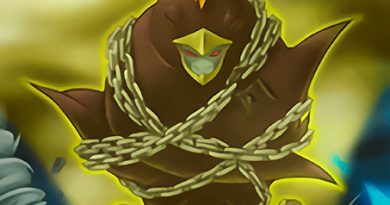 Check out this article on Skilled Chaos Control for a more in-depth look at the deck. Right now, it’s a toss-up as to which variant of Chaos Control is considered the best. Each has their strengths and their weaknesses. But there’s no denying the power of the deck itself. Chaos Sorcerer is an inherent +1 when used correctly. It is a strong out to power cards such as Thousand-Eyes Restrict and multiple drops on a single turn can end the game then and there. The variations between Thunder Dragon, Shining Angel, and Skilled White Magician are, ultimately, little. Both end up fulfilling the same basic role, just in different ways. Mostly, which one you prefer to play ultimately comes down to play style. Aggressive players tend toward Skilled Chaos, while resource-focused players tend toward Thunder Dragon. Angel Chaos is sort of in between the two in that regard. And because Chaos Control plays so much like Goat Control, it’s not the hardest switch to make. This is one of the advantages of the deck. I personally believe any Chaos build has a lower overall skill ceiling than Goat Control. But Chaos Control has a higher ceiling than other Chaos variants, such as Turbo or Recruiter. The ability to mimic so many of Goat Control’s strategies, while also mitigating some of its most potent plays, makes Chaos Control a formidable addition to an already expansive format. 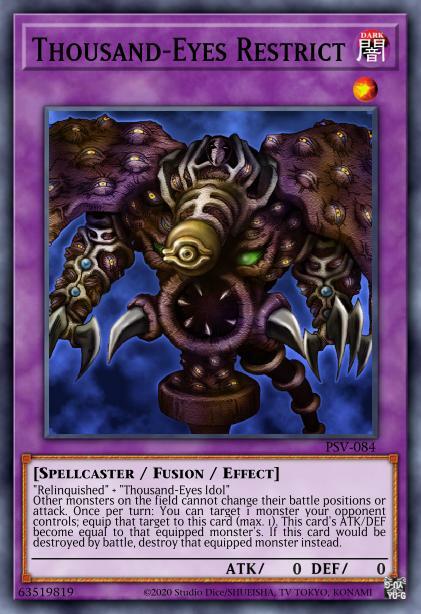 Right now Chaos Control is most popular in the DuelistGroundz and Format Library metagames. This isn’t surprising – it’s where it really started, after all. But it’s gaining popularity especially in the Dueling Book Goat Format room. So it’s something you should be prepared for, understand, and know how to play against. We’ll be discussing how to combat Chaos Control via the side deck in another article. For now, understanding the strengths and weaknesses of the various incarnations should give you some ideas on approaching the matchup. That’s it for this time. As always, you can contact me with questions or ideas or criticisms at [email protected] Make sure to keep coming back every Monday for more about Goat Format, and read the rest of our articles right here on YGOPRODeck.com. 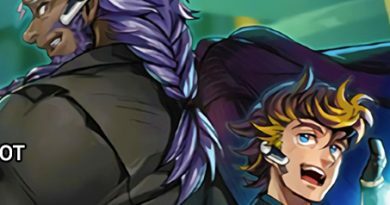 Writer for YGOPRODeck and POJO which mainly focus on the GOAT format. Luck On Your Side is one of the most creative, adrenaline-pumping decks you’ll play with. On paper it looks terrible, but when put into practice you’ll realize what a formidable force you have in your hands.